The medical record of Georgia outfielder Kendall Burton is formidable. Her will to play softball? Even more so. This story appears in ESPN The Magazine's May 7 issue, The Month of Mayhem. Subscribe today! As Kendall Burton stared into the bathroom mirror, her goal was simple: to put her hair up. If she could accomplish the everyday task, she knew she was fine. But every time she tried to raise her left arm, it fell to her side. The day had begun some 300 miles away at her grandfather's funeral. Now it was ending in her college apartment with a paralyzing fear she might be next. She called her dad, who was staying at a hotel nearby. She tried to explain what was happening, but she couldn't speak. "All I heard was heavy breathing and mumbling," Jay Burton recalls. "I just told her, 'Kendall, whatever it is, I'm on my way.'" Kendall Burton was 18. Six days earlier, she had played her first college softball game for the University of Texas at San Antonio, overcoming so much to get there. The 23 surgeries. Failed bone grafts. The ruthless kids poking fun at her appearance. Now she was having a stroke. Born with a bilateral cleft palate, Georgia outfielder Kendall Burton underwent 23 surgeries by the age of 18, yet still found a way to achieve her dreams in softball. As her dad raced her to the hospital, no one knew what that night eventually would mean. How she would struggle to read preschool picture books. How her softball career would nearly come to an end. Or how it would take her from San Antonio to Stillwater, Oklahoma, to Athens, Georgia, where she would become the emotional heartbeat of a top team eyeing a spot in the Women's College World Series. Burton's story is one of love and resiliency, and it raises the question: How far would you go to protect the one thing that brought the greatest joy in your life? "The process getting to this point sucked," Burton says. "But I don't wish it would have happened any differently. That's what life is. You can't have do-overs." THE DAY KENDALL Burton was born just outside of Houston, her mom immediately knew something was wrong. "She had a hole in her face," Lezlie Burton says. "She looked like an alien, our little alien." Kendall was born with an extreme bilateral cleft lip and palate. Doctors immediately took her to the neonatal intensive care unit. They prepared Lezlie and Jay Burton for the worst. "Major health problems," Lezlie says. "Brain anomalies. We were beyond scared." Before Kendall's first birthday, doctors would operate on her three times. She continued to have another surgery or two every year after that. By the time she started school, she was accustomed to the stares and finger-pointing from classmates. She had no choice. "My approach was always, 'I can't do anything about what my face looks like, and I can't control what's coming out of your mouth, so I choose to not care,'" she says. "Of course I've been in that place of discomfort. I'm human. ... But in my mind, I never thought of myself as being any different." In third grade, Burton found softball when her dad, a former minor leaguer with the New York Yankees, signed her up for a local rec team. Softball was something she and her dad could do together. She clicked with her teammates. And she loved the challenge of not getting fazed by a hitting slump or fielding error. She had tried soccer and dance. In softball, she could wear a helmet. And anyone who said anything about her appearance would shut up real quick watching her fly around the bases. "It was something I could do for an hour or so every day where I didn't have to think or worry about anything else," she says. "I could deal with the rest of my life later." By the time she was 14, she was playing travel softball with 18-year-old teammates. In her senior year, when she hit .554 and recorded 58 hits, 40 RBIs and 23 stolen bases for Ridge Point High School in Missouri City, Texas, doctors set out a plan for four final surgeries: two rhinoplasties, another bone graft and a final revision of her lip. She insisted that they combine the surgeries into one four-hour procedure. "I didn't want this defining my life anymore," she says. "I didn't want to deal with it in college. I was done." On Nov. 26, 2013, she underwent her 23rd and final surgery. The following fall, she began her career at UTSA. And then after one game, everything changed. For Georgia, Burton has brought speed, range and a lethal arm to right field. THE MORNING AFTER Burton couldn't raise her arm, an MRI revealed she had suffered an acute ischemic stroke. She stayed in the hospital for nearly a week. "They told me I was a one in a million case," Burton says. Doctors believe she suffered a dissection of her carotid artery. The damage was evident. After a conversation, she was tired and needed a nap. When she spoke, the words were out of order. She struggled to understand preschool books. Her mom wanted her to come home to Houston. She refused. So Lezlie moved to a hotel in San Antonio. "When it became a brain injury, that was the one time where I was like, 'Enough already,'" Lezlie says. "I was like, 'Let me be the one. I'm old. Let me have the stroke and deal with it.'" Three weeks after her stroke, Burton went to her macroeconomics class, sat in the back of the lecture hall and realized she couldn't understand a thing. She withdrew from school and began seeing a speech pathologist. She worked on elementary school worksheets, played puzzles on her phone and watched TV with the subtitles on so she could read what she was hearing. Burton guesses she's played more than 1,000 games with Cortni Emanuel by her side, going all the way back to their childhood. "Softball was the furthest thing from our minds," Jay Burton says. "We wanted her to be able to look at a picture and say it's a cat. ... I didn't think she would play again. At that point you just want your daughter to be healthy and cognitive." Doctors told Kendall it would be two years until they would fully understand the extent of the damage. But the girl who pulled out her feeding tubes as an infant and ripped out her pain pump as a teenager didn't understand patience. "I'm stubborn," she says. "I wanted to prove to myself I could go through this and get back on the field for the season." In December 2014, less than two months after the stroke, Burton began hitting and throwing on her own. She returned to UTSA in January, enrolling in the minimum number of hours required to stay eligible. She started all 54 games in center field, hitting .363 with a team-high 69 hits. But she also suffered from post-stroke seizures. Her neurologist assured her it was normal. He also told her that she shouldn't be in school, that her brain needed a break. She wouldn't listen. "I didn't go through all this hell with my surgeries and stuff not to play," she says. That fall, Burton decided she wanted to play for a bigger school; she wanted a shot at the Women's College World Series. "I wanted more out of my life," she says. Two months after the 2016 season, Burton announced that she would finish her career at Oklahoma State University. But she never even wore a Cowgirls uniform. 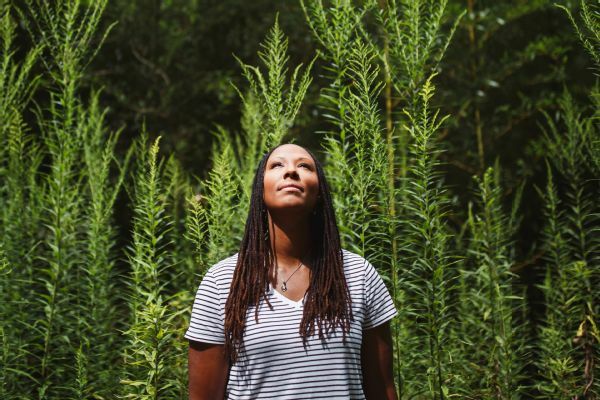 With everything she's been through, Burton has a different perspective on the trials and tribulations of everyday life, including hitting slumps. KENDALL BURTON COULDN'T process her emotions. She wanted to scream and cry. Instead, she sat in a neurologist's office in Oklahoma City, speechless. She had played two seasons at UTSA following her stroke, but her physical at Oklahoma State had been flagged. A neurologist affiliated with the school had distressing news. 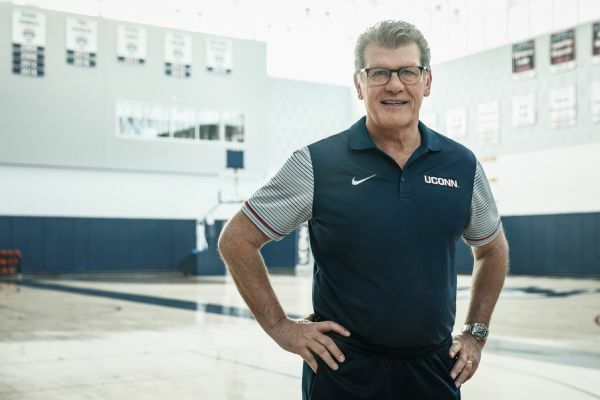 "He said, 'I looked at your charts,'" Burton recalls, "'and I don't ever see you playing Division I athletics again. You understand, right?'" Her medical team at the Texas Health Institute had cleared her to play. So did UTSA. But weeks after Burton committed to Oklahoma State, Cowboys basketball player Tyrek Coger, also a transfer, died during a team workout because of an enlarged heart. Doctors and administrators didn't want to risk another tragedy with Kendall. "[These doctors] have to go to bed at night," Cowgirls softball coach Kenny Gajewski says. "They didn't feel comfortable. But I won't lie -- it was hard for me to take." For weeks, there was back-and-forth. Burton's parents even offered to sign a waiver of liability if something happened to Kendall, who continued to go to class and watch her teammates practice. "It was the lowest of lows," she says. "I felt like I had been through so much. Life had beaten me up over and over. It was one thing that was entirely out of my hands." Lezlie Burton was angry. "I mean, as parents, do you really think we'd put our daughter in danger? If a neurologist that we trusted and had faith in told us she should stop, absolutely we would have agreed with that." The day the decision was final, Lezlie called her daughter and told her to fly home. Gajewski helped Kendall look for another place to play. Her friends and travel teammates Sydni and Cortni Emanuel were playing at Georgia. The Bulldogs were intrigued by Burton's speed, arm, outfield range and love of the game. In a 36-hour visit to Athens just before Thanksgiving 2016, she spent more time with the medical staff than the coaches. There were MRIs, blood tests and a thorough review of her medical history. In the end, Georgia cleared her. Oregon was also interested. But as she stood in front of the Bulldogs' home dugout before leaving for the airport, she blurted out to her dad and coach Lu Harris-Champer: "I'm in. This is where I want to play." Just like that, she was an SEC softball player. The dream of playing in the Women's College World Series was within reach. 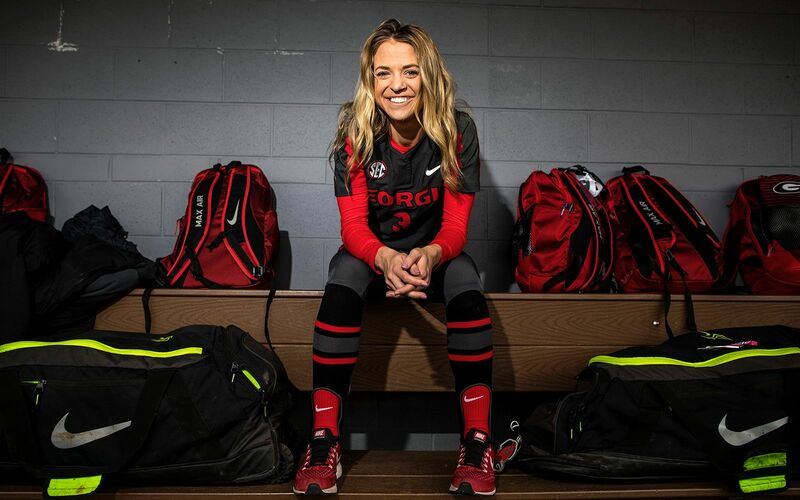 But three months into her career at Georgia, she faced yet another medical hurdle. 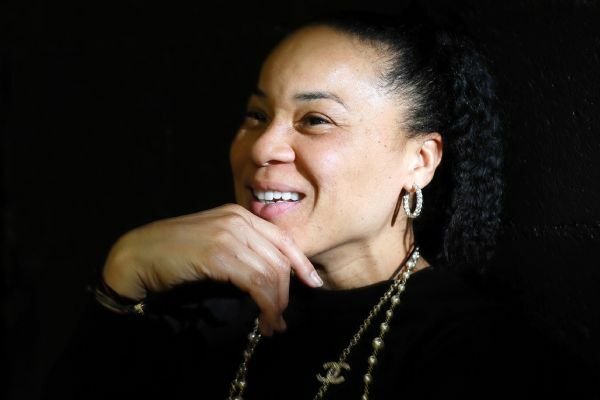 She had her worst post-stroke seizure during a tournament in Palm Springs, California. She assumed Georgia would walk away from her. "I just accepted that if this is it, then that's OK," she says. "At least I can say I gave it all I had. I never quit." But after reviewing the tests from Palm Springs and conducting further testing in Athens, doctors tweaked her medicine and sent her back to practice the next day. "She loves the game so much," Georgia trainer Conner Tidmus says. "She wanted to be safe. From our end, it was the same thing. So we did everything we needed to say 'We're still comfortable with this.'" Every time the phone rings, Burton's parents worry it's about their daughter. "That's called being a parent," Lezlie says. IN THE SECOND inning of Georgia's SEC showdown with Tennessee in April, Scarlet McSwain lifted a fly ball toward the right-field wall. Burton sprinted to track it down. As the ball fell into her glove, she disappeared from the sight line of her parents, who were watching from the stands. They both gasped. This is their life now. Each hard-hit ball. Each at-bat. Every time the phone rings, they worry. "But we might be that way for the rest of our lives with her," Lezlie says. "That's called being a parent." Through April 17, Burton had started every game for the Bulldogs this year and was hitting .381. Ask Georgia players and coaches how a team that finished 13th in the SEC a year ago has transformed itself into a top team and they mention things like hard work, determination, togetherness and, most of all, resiliency. It comes from their right fielder. "She's a pillar of strength," Harris-Champer says. "They look at what she's been through and the fact that she brings that resilience every day. And you see it in the way we play. Nothing knocks us down." That resiliency will be tested in the postseason -- Georgia found out in early April that No. 1 pitcher Brittany Gray was lost for the season because of a biceps injury. The news prompted a team meeting in which Burton and Cortni Emanuel made sure their teammates understood that their goal is still to reach the Women's College World Series, which is May 31 through June 6. When Georgia's softball team faces adversity, they turn to Burton, who is the emotional rock of the squad. "We are still an amazing team," Burton says. 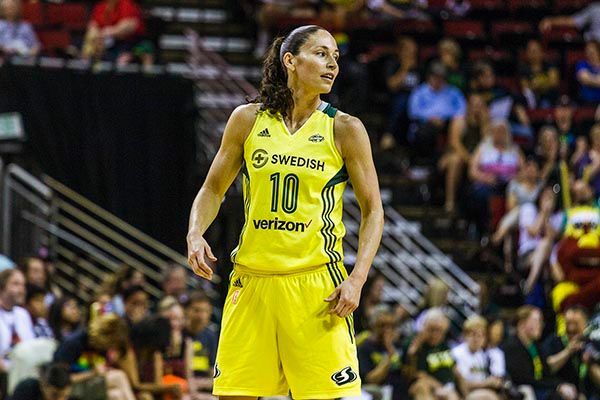 "With or without her, we are going to figure out a way to get to Oklahoma City. You just don't give up." 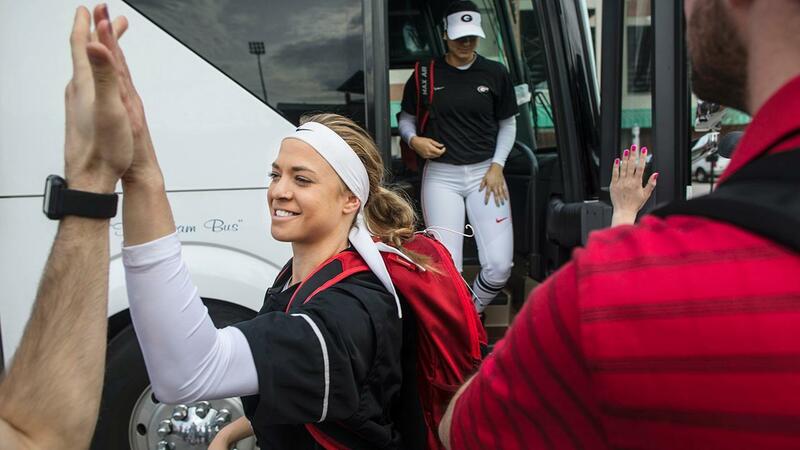 The end of Georgia's season will mean the end of Burton's softball career. She has a year of classes to earn her degree and then plans to write a book. Her doctors have told her that she's unlikely to have another stroke and that the seizures should be less frequent. "I just can't believe it's almost over," Burton says. "This is hands down my favorite team I've ever been on. I look back and I know that everything happens for a reason. It was all worth it to be on this team." Wayne Drehs is a senior writer for ESPN. He can be reached at wayne.drehs@espn.com.